Officially 3/4 of the way through my 80-day trip around the world, today was about pushing myself — and enjoying each remaining minute of this fantastic journey. 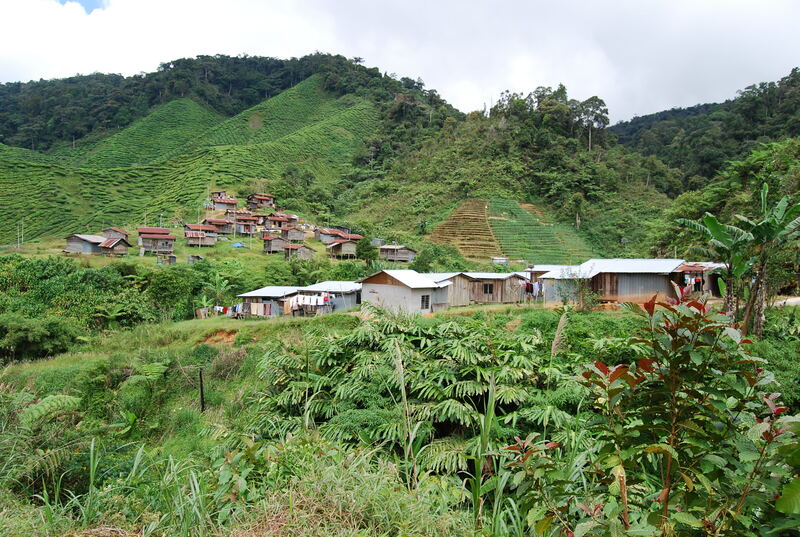 After some eggs and a grandé iced latte from Starbucks (how they’ve managed to open a store here is beyond me), we met our guide for a day’s trek through the Cameron Highlands. The rest of my G.A.P teammates opted for other activities, leaving me with Calley, an infatigable 65-year-old life long resident, as well as two other young travelers from Germany. Wielding a machete, Calley led the way to our “trail” at the entrance to the thick jungle. “I can tell within the first 5 minutes who can hike,” Calley said, as three guys in their mid-twenties sat panting at their first rest stop. “Can we hike?” I asked. “You can hike,” he said, before turning and starting what felt like a light jog through the uneven terrain. Along the way, we were shown a variety of plants that are used by the Malay people — as well as some that can be eaten for survival. We emerged from the jungle covered in sweat and underbrush. We next hiked through the narrow paths of the Cameron Valley Tea fields, past workers, many of whom are from Nepal, harvesting the plants. At one point, we were so deep that it was tea for as far as the eye could see. After crossing several burbling brooks and nearly face-planting twice, we passed a remote village inaccessible by car, where several children called out to us. Calley offered them some candy. 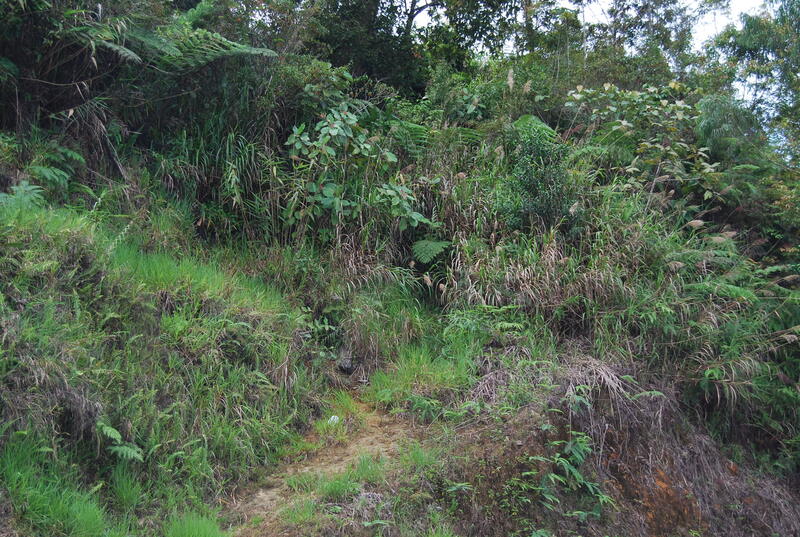 It was now time for the most difficult part of the trek, getting to the top of Gunung Perdah. The ascent was very steep and slippery from an earlier rain. 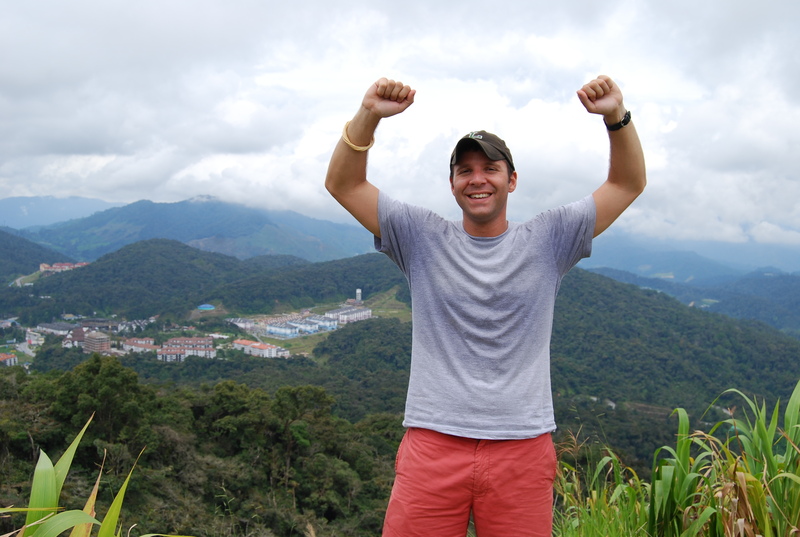 There was a lot of sweat but after 90 minutes, we made it to the 1750 meter lookout! You can see our starting point way off in the distance — it’s the blue circular orb (actually a water purification plant) under my right armpit. We made our way back down the treacherous path, following Calley as he nonchalantly skipped. In 6 hours, we covered 10 km, so “strenuous” would be a nice way describe today’s activity. But it was also one of the most rewarding. There was something about pushing myself physically, all while surrounded by the peace and serenity of nature. 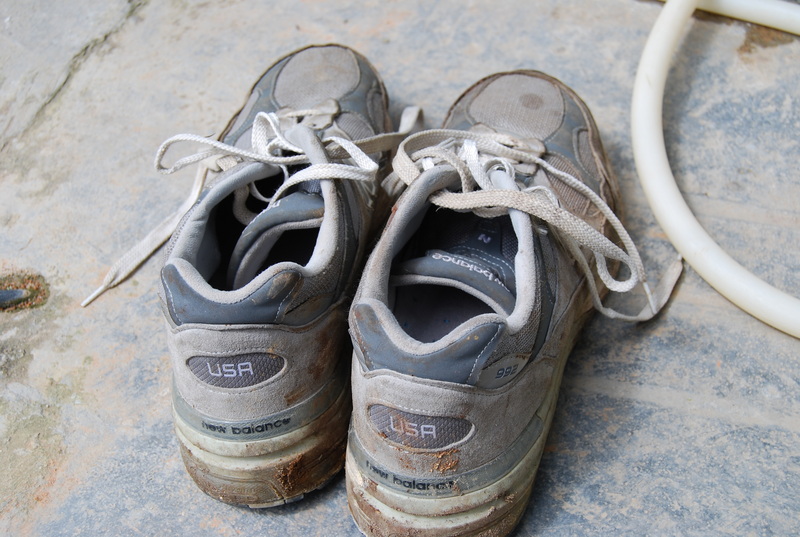 Unfortunately, my New Balances were not nearly as satisfied. Our bus to Kuala Lumpur, this country’s capital, departs tomorrow morning. Great skyskapes! Happy journeys Marc. 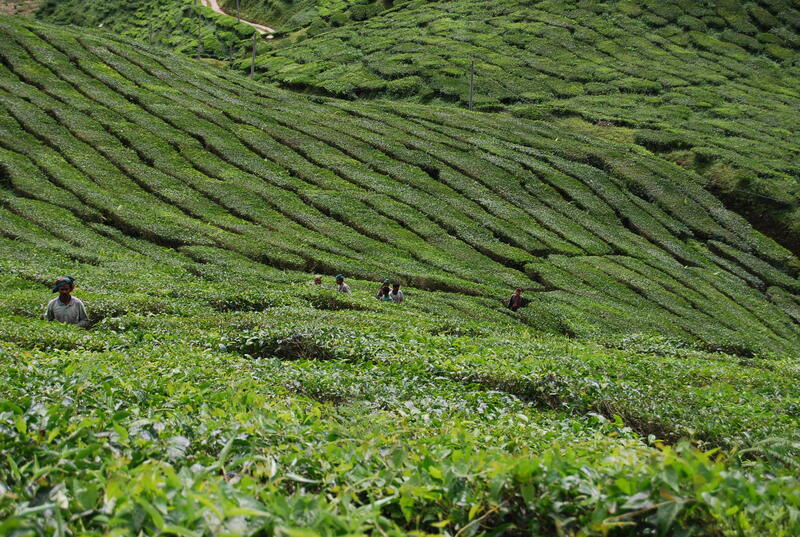 Too bad you can’t stay longer and enjoy the rest of the nature sites in and around KL. Safe journeys the rest of the way.